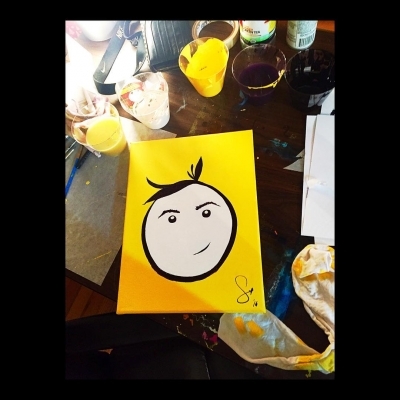 It was announced today that Stana created a painting to be auctioned off by herARTS in Action, a nonprofit organization whose mission is to contribute to the attainment of sustainable socioeconomic status, including education, employment, and health, for the women and children of Burkina Faso, Africa. 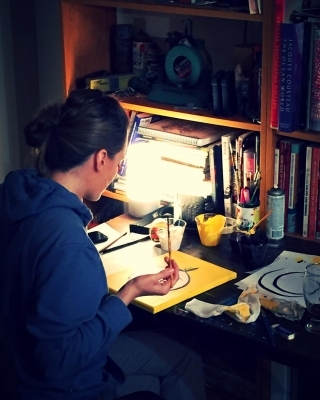 Stana was recruited by Kristoffer Polaha (the actor with the recurring role of Caleb Brown on this season of Castle) to create an original painting for the first Celebrity Art Auction. The auction will benefit the With a Drop water & sanitation project and takes place March 18-22 on ebay. Artwork by celebrities Shiri Appleby, Christopher Backus, Austin Basis, Kristoffer Polaha, Mira Sorvino, Paul Sorvino and Rainn Wilson will also be in the auction. Check out the organization’s website at http://www.herartsinaction.org/ and follow them on Twitter and Facebook. Stana shared a couple of photos on instagram, that you can find in the gallery!